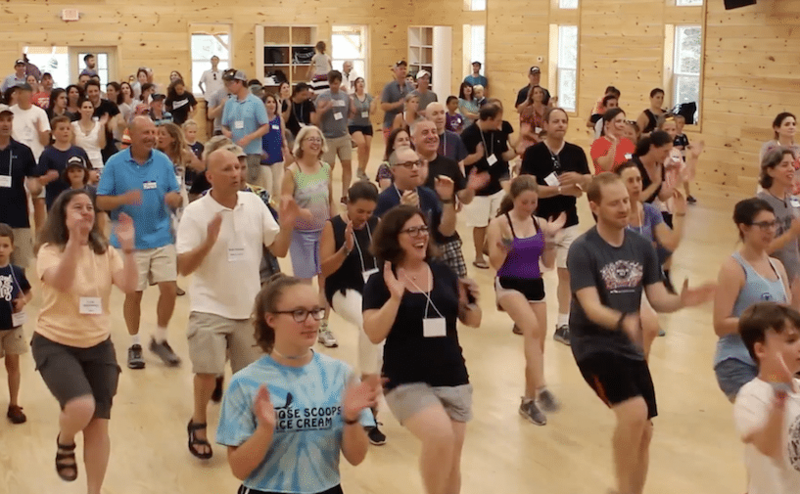 This summer we celebrated our 70th anniversary by hosting a reunion on July 28th with alumni from every decade—including the first camper who ever signed up for Walt Whitman! It was a truly unforgettable day with old friends, and it’s hard to express just how special it was to gather everyone together. But I’ll try to recapture some of the most memorable moments. (You can see many of them in our video, too, which we’ve posted on our Facebook). 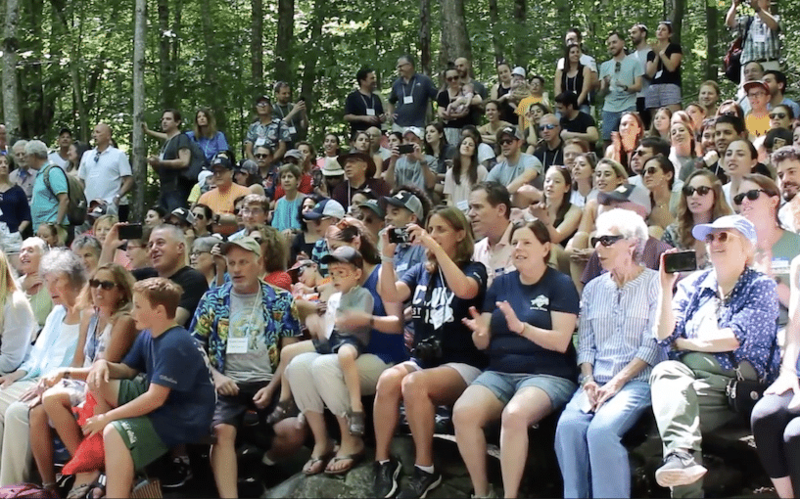 Along with all the fun we had schmoozing, we held a camp meeting in our amphitheater where alumni of all ages and generations sang our camp songs together. I can’t quite put into words how joyous it was. At the camp meeting, we had a ceremony to recognize the camp’s history and our founders, Arnie Soloway and Chick Soloway, which was incredibly moving. Arnie’s son Stan Soloway spoke about Arnie’s vision for camp and how tirelessly he worked to impact lives. Chick’s daughter Amy gave a touching speech about her father and then Chick’s son Michael sang and played one of his dad’s favorite songs, “The Golden Vanity,” on the guitar in tribute to his father. We also recognized Ann Soloway, Chick’s wife and my great-aunt, for the wonderful work she has done at camp every summer for 70 years. My father gave the speech to recognize her and she received an incredible standing ovation. In the afternoon, alumni all joined in a camp square dance, swam in the lake, enjoyed the zip line and the aerial adventure course and of course, spent time catching up with one another. We made the event fun for the young children, too, with stations set up for them to get their faces painted, make friendship bracelets, make buttons, and even shoot archery. It was a truly perfect day, filled with so much joy, love, and emotion. We want to thank everyone who came, and who celebrated from afar, for keeping the spirit of Camp Walt Whitman alive.